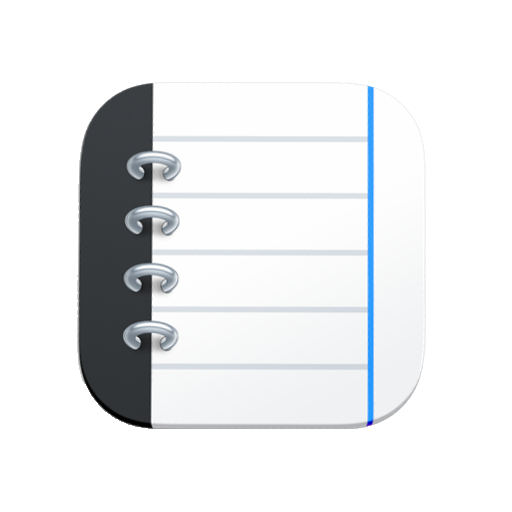 Create beautiful documents and quickly write down notes. Manage complex projects and simple task lists. Store and organize all your files and records. Sync all that between your iPad, iPhone, Mac and PC. Why would you use a handful of unrelated apps when Notebooks is all you need? Create formatted documents using WYSIWYG style editing. Type plain text notes if you prefer. Use Markdown to create formatted documents. If you are into screen writing, you can use the Fountain format. Convert between these formats in a few steps. Use document styles to give your documents a distinct appearance. On iOS, set up extra keyboard keys to quickly access special characters or phrases. Convert your documents to PDF. Notebooks saves your documents as regular files in standard formats like text or html, and they are not buried inside a database. This makes sure that you can open and reuse your documents on any device, without proprietary software, and even in 50 years from now. As the number of documents grows, structure and organization become increasingly important. In Notebooks you can create a book for each of your projects and subjects; if you want to further subdivide your documents, just go ahead and create a hierarchy of nested books. Create an unlimited number of books. Nest your books and create infinite hierarchies. 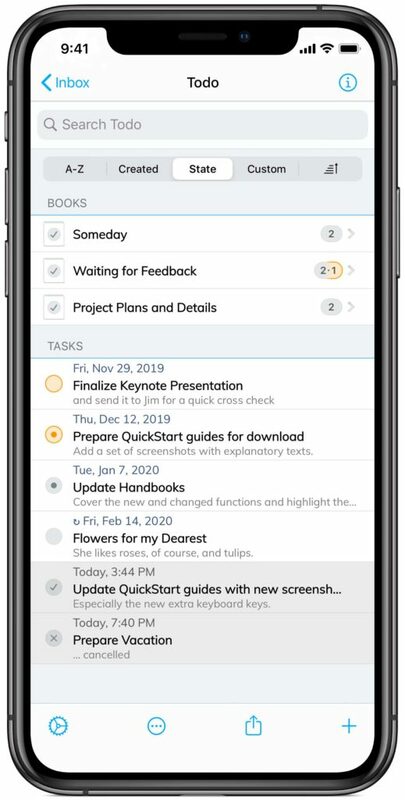 Turn books into task lists if you want. Reorganize books and documents by moving them from one book to another. This turns Notebooks into a file manager which, in contrast to other apps, allows you to organize your documents in unlimited hierarchies. A simple written note may spark off an idea, which produces a list of todos and winds up as a major project. As Notebooks conveniently integrates note taking with task management, you can stay focussed on your evolving ideas – rather than switching between apps. Turn any book into a task list with the flick of a switch. Turn nested books into hierarchies of task lists. Any document can be a task, so you can be as elaborate in your description as you like. You can also turn a sketch, a PDF or a voice memo into a task. 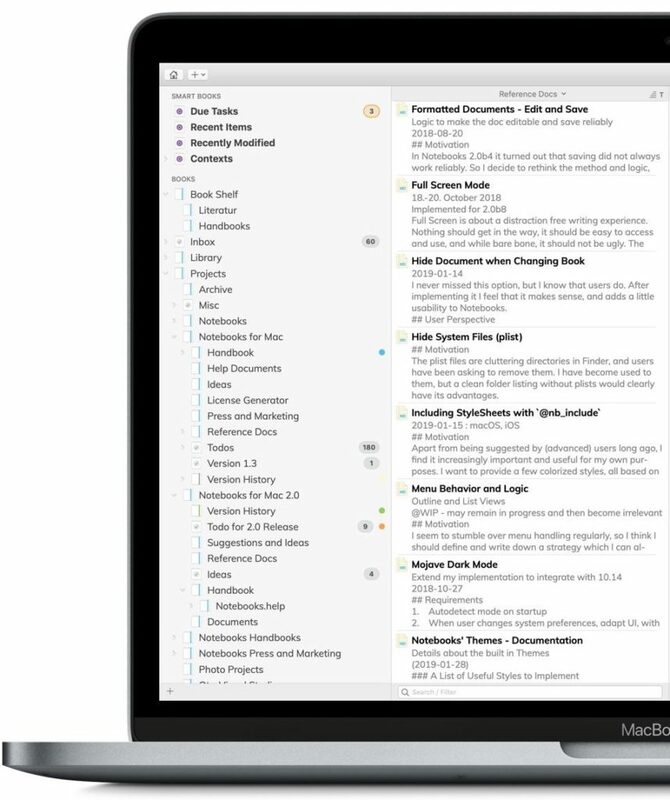 Let Notebooks automatically extract tasks from your documents or convert a document into a task list. Assign due dates and alarm times and let Notebooks remind you of pending business. You can even have repeating tasks. Assign context tags to tasks and documents and get a consolidated view depending on your current working context. The addition of a full featured PDF reader was one of our users’ most frequent requests. 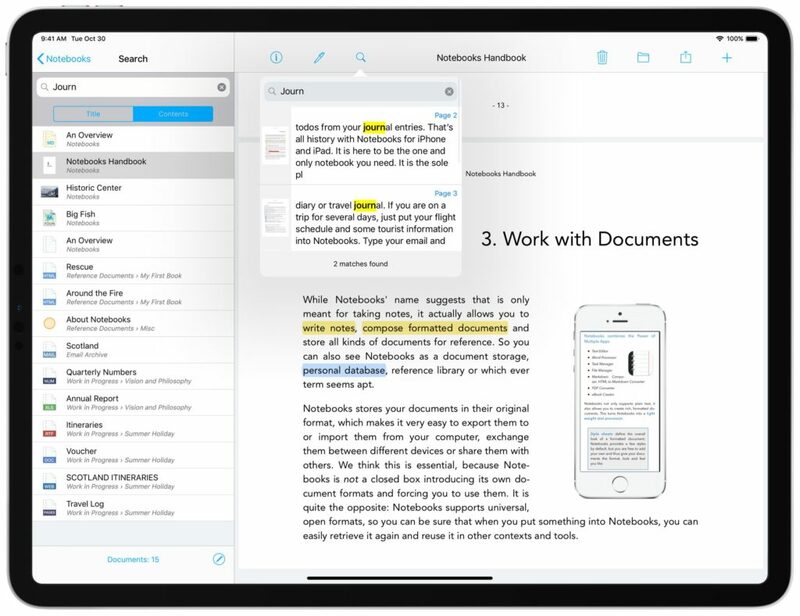 And we agree: when you already create and store PDF documents in Notebooks, you want to read, annotate and comment them, too. 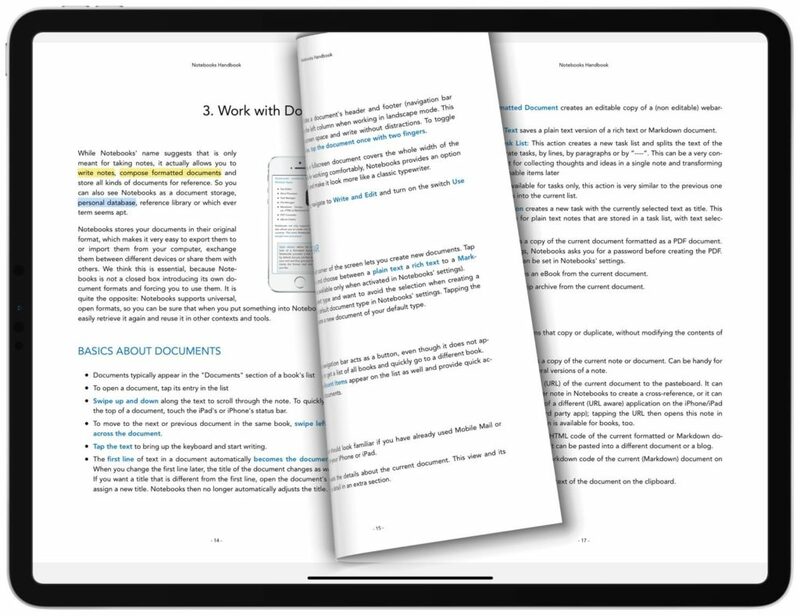 Conveniently read PDF documents and swipe through them as if they were books. Highlight and annotate phrases, add stamps, signatures, comments or notes. There is little you will be missing. View a PDF document’s table of contents, set your bookmarks, or view the summary of annotated pages. Search the full text of PDF documents. Do you have a PDF handbook, a chart, an email message, a presentation, or a couple of photos that you want to keep along with your notes, diaries and meeting minutes? – It is easy, just add them to Notebooks. 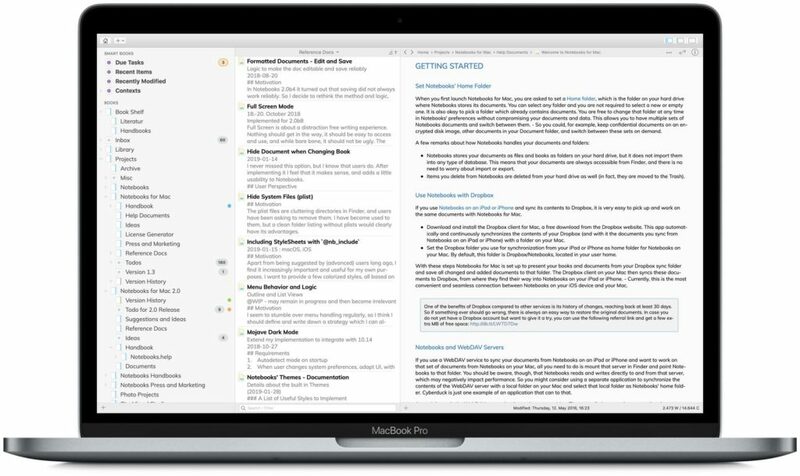 Store and display plain text documents, Markdown, PDF, iWork, Office, RTF and HTML documents as well as images, movies, web archives or email messages. Import documents through available sync options, iTunes file sharing, or the built in WebDAV server. Use Open in… and Share options to import documents or snippets from other iOS apps. Search the full text of most of these documents for quick access. As you add more and more documents, Notebooks continually increases in value and soon becomes the knowledge base you don’t ever want to miss again. Sync Between your iPad, iPhone, Mac and PC. 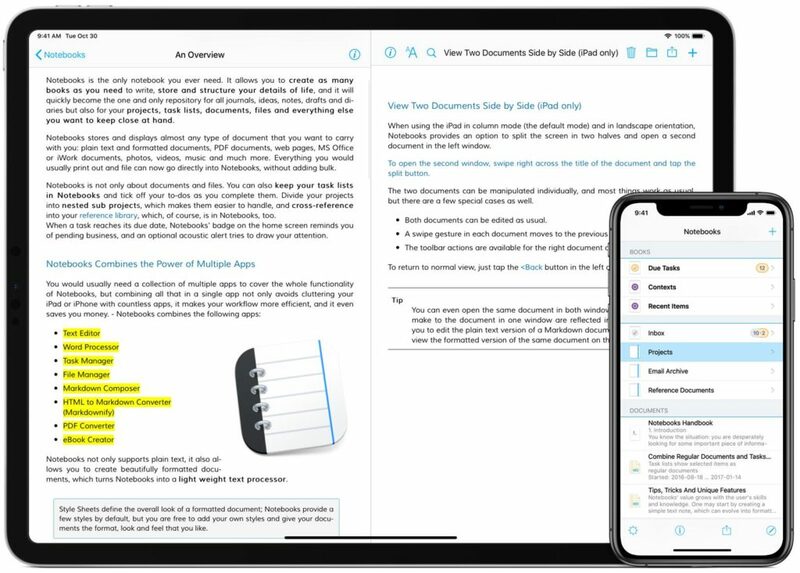 Having your documents with you on an iPhone or an iPad is one thing, but you probably also want to use and work on these documents from your computer. And you always want to be sure to have a backup of your documents in case your device gets lost or stolen. 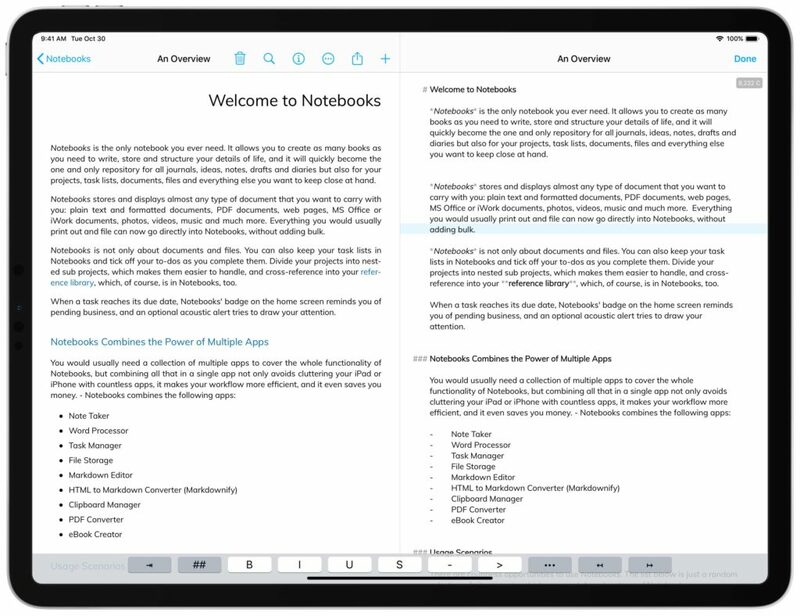 Notebooks offers several options. Synchronize your documents with your Dropbox account. Synchronize with your favorite WebDAV server – even one you install on your computer, in case you don’t like cloud services. Use the WebDAV server that is built into Notebooks for Mac and sync directly between your iPad, iPhone and Mac. Use the WiFi Sharing option in Notebooks for iPad and iPhone to access your documents like an external hard drive. If you use Notebooks on multiple devices, synchronizing each of them with your selected service ensures that the contents of Notebooks is identical on all devices. This makes sure that you can work on your books, journals, memos and todos wherever you are. You are free to choose how to sync your documents: use a cloud based service, or sync with a server in your own network. So you are not bound to a specific service which might charge a regular fee, and there is no risk we could ever access and read any of your data.